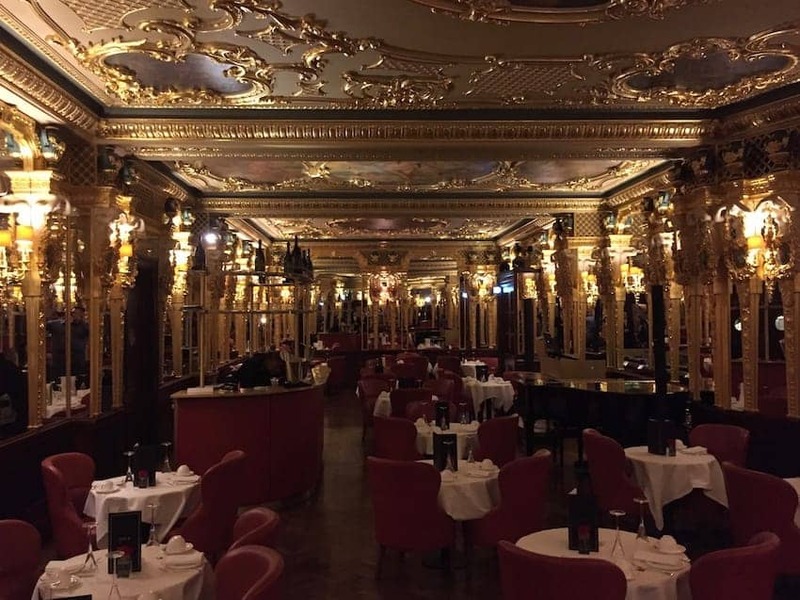 The stunningly opulent Oscar Wilde Bar, located in the Hotel Cafe Royal, has recently been exquisitely restored to its authentic Louis XVI detailing originating in 1865. It now hosts a London themed Afternoon Tea during the day featuring in its cake selection such delicacies as the Underground Macaroon and the Raspberry Regent along with the traditional favorites. Reputedly great minds from the arts have frequented this place down the years, including Oscar Wilde and David Bowie.